F4XT Cellularline interphone , double pack, Bulk version. Pilot / Passenger and Pilot / Pilot functions up to 500 mt. Same features as Interphone F4MC , with fewer features, but not influential for optimal use. Proposed at an exceptional price. 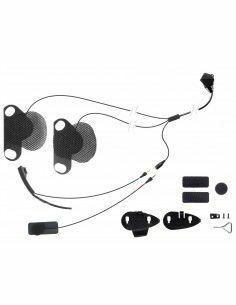 Interphone F5XT Double pack for two helmets, complete with all accessories. Bulk version without box. Supplied with latest Upgrade that allows compatibility with BMW KTM HONDA systems. Same features as the F5MC model, which has now become unobtainable. Offered at an unobtainable price. Kit Pro Audio Sound Shoei dedicated to Interphone Cellulalarline of F5MC F4MC F3MC series. Creistallina audio quality, excellent music Dodi. Interphone Single Tour. The new Cellularline intercom. Product dedicated to multi conference, suitable for long trips. Large Pack Bulk Versions. All models of the new Interphone series allow recharging during the use. With a small powerbank it is possible to double their autonomy. Adhesive base for mounting the Pro Midland Bluetooth intercom support. Specification for BTX1PRO, BTX2PRO, BTNEXTPRO. 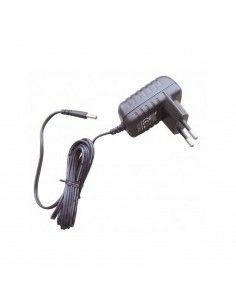 110-220V charger for intercom Cardo Scala Rider: TeamSet, Solo, Q2, Q2 Pro FM. With only one output to load a single unit at a time. Kit Pro Audio Sound Shoei dedicated to Interphone Cellulalarline of Sport Urban Tour series. Creistallina audio quality, excellent music Dodi. Fastening system double-sided for models of intercoms “Next Generation” (BT NEXT, BTX2, BTX1, BTX1 FM, BTX2, FM , BTNEXT-CONFERENCE)”. 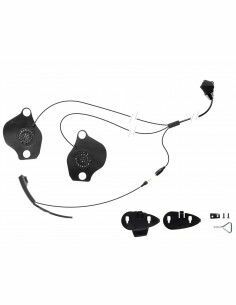 Interphone Sport Twin Cellularline pack, twin pack for two Helmets. 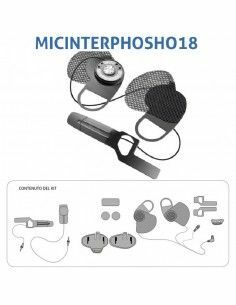 Interphone Tour Twin Pack . The new intercom Cellularline. Product dedicated to the multi-conference, suitable for long trips, 20 hours of communication and the possibility of charging in travel. Pack for two helmets. Replacement unit for single Interphone TOUR. 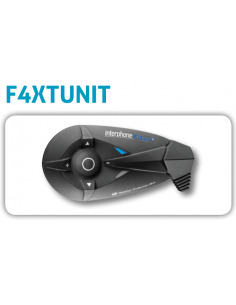 F4XT Cellularline interphone , single, Bulk version. Pilot / Passenger and Pilot / Pilot functions up to 500 mt. Same features as Interphone F4MC , with fewer features, but not influential for optimal use. Proposed at an exceptional price.